Is a Murphy Brown episode next? Though the writing of fan-fiction is often considered strange and somewhat creepy, it really depends on who is writing it and how informed they are about the topic at hand. So when Blake Ross, co-creator of Firefox, writes and posts an unofficial episode of the tech industry-skewering show Silicon Valley on his website, you can expect that his take of the world of tech will be absolutely spot-on. What we didn’t expect, however, is that his script would be as funny as it is (if perhaps a little too reliant on tech company references), with instantly recognisable traits and dialogue for each of the hit HBO show’s hilarious characters. 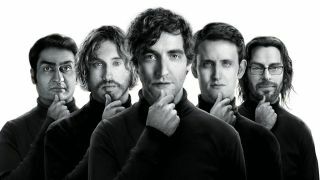 Blake’s teleplay picks up after the end of the show’s second season, with *spoiler alert* Richard tasked with hiring his own replacement CEO, while also facing the possibility of Pied Piper’s code going the open source route.